Diss Town Council to replace town’s streetlights with energy efficient LED lamps using smart technology. 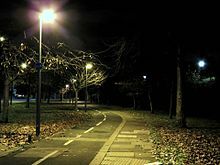 Diss Town Council and Suffolk County Council are working together to replace streetlights in Diss with energy efficient LED lamps powered by smart technology. Currently, the majority of town’s streetlights are owned and maintained by South Norfolk Council. However, following a county-wide review on the future of streetlights, South Norfolk has decided to decommission two thirds of its street lights to cut costs. Following the announcement, Diss Town Council agreed a contract with Suffolk County Council who will take over maintenance of the town’s lights from April 1.